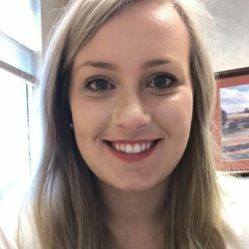 Sarah is the Member Solutions Manager at LincOne Federal Credit Union. Sarah has been with LincOne for 3 years and worked two years as part time member service representative before moving into her current role. Sarah has also been a credit union member her whole life and enjoys the volunteer and fundraising work that is done for Children Miracle Network. Aside from being involved with YPCU, Sarah enjoys traveling and baking as well as spending time with family and friends.